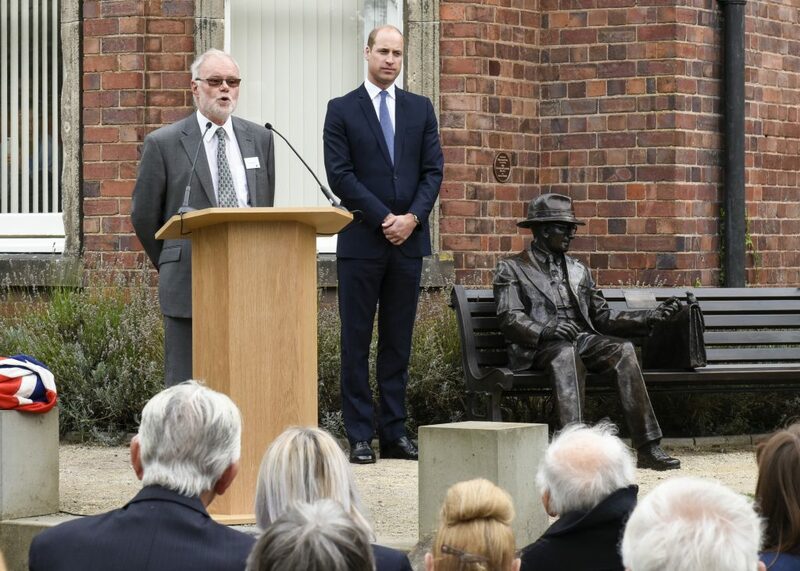 An Army Reserve Centre in Stourbridge hosted members of a former Intelligence Corps and MI6 officer’s family and descendants of some of the people whom he saved in Nazi Germany. A twelve-foot long wall mural telling the life story of Major Frank Foley CMG, a quarter-scale miniature replica of a statue unveiled in a Stourbridge park and an Enigma machine, used by Britain’s codebreakers to decipher German signals traffic during the Second World War, was also on display at the headquarters of 63 Military Intelligence Company, Swinford Road, Stourbridge. Foley commanded an infantry company of the 1st Battalion the Hertfordshire Regiment and was later with the 2nd/6th Battalion North Staffordshire Regiment during the First World War, during which time he was mentioned in despatches. He escaped from Germany and, after the First World War, was recruited by the Intelligence Corps. 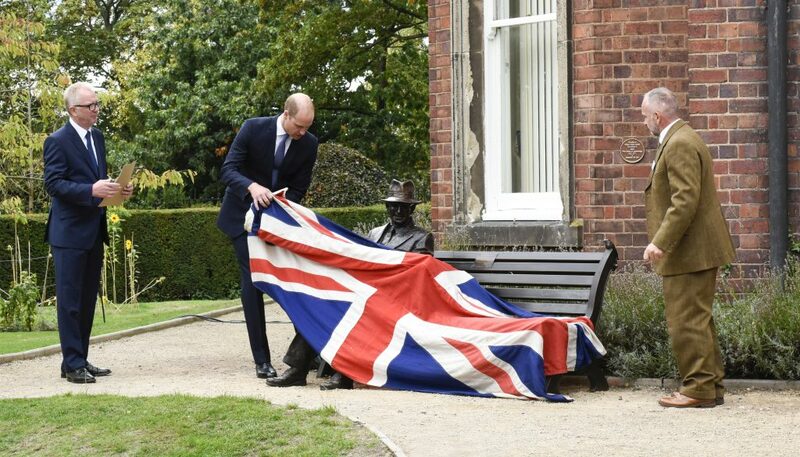 Earlier in the day the The Duke of Cambridge unveiled a statue of Major Frank Foley CMG in Mary Stevens Park, Stourbridge, as part of a wider visit to the West Midlands.